Dental care for new patients at The Smile Centre is provided on a private basis. 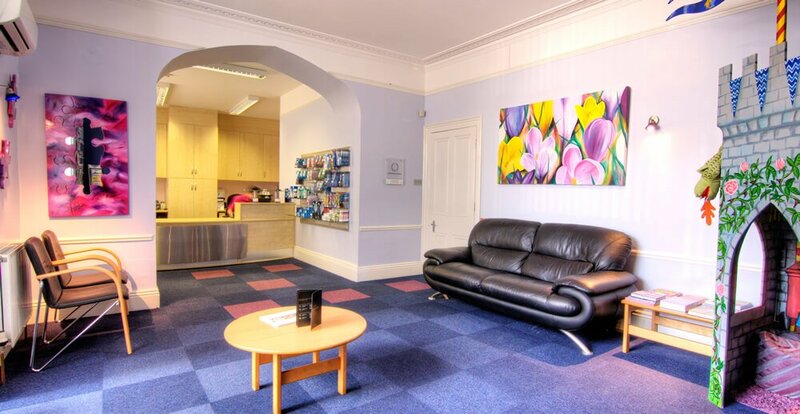 We begin your first appointment between yourself and our Treatment Co-ordinator with an informal talk in our comfortable lounge where we can exchange information easily. You can tell us what you would like to achieve in terms of your dental health and appearance and let us know of any anxieties you may have. We will explain what the dentist will be doing on your first visit and give you information about other treatments and services we offer. Your Treatment Co-ordinator will then brief your dentist, so that when you meet, he will already know a little about you and your dental desires. You will be accompanied into your appointment and following this, we will discuss the any proposed treatment options and arrange any necessary appointments. The cost of this appointment is £145 and includes routine radiographs (xrays). Every new patient at The Smile Centre is also given a thorough mouth cancer screening with our state-of-the-art screening technology, Velscope, free of charge. Existing patients receive regular Velscope screenings for oral cancer and other oral conditions. This will be followed up with an annual screened session. Dentists play a vital role in spotting mouth cancer. Mouth cancer kills one person every five hours in the UK and is diagnosed in more than 6,000 people each year. If caught early, survival rates rise from just 50 per cent to 90 per cent. We have invested in state-of-the-art technology to screen our patients for the early signs of mouth cancer – something that could help save lives. The Velscope system uses fluorescent light to detect abnormal soft tissue, including cancerous and pre-cancerous cells that may not be visible to the naked eye. Velscope is a detection device, not a diagnostic tool. If we find abnormal cells in our patients’ mouths they are immediately referred to specialists at Saving Faces, a charity that guarantees a fast-track diagnostic response within three working days. The statistics for the alarming rise in this disease, which can lead to severe facial disfigurement, are staggering. We feel our role in the fight against mouth cancer is of paramount importance, which is why we have invested in this Velscope technology. Regular dental visits are so important because the earlier the condition is detected the better your chance of survival.